This clever campaign, targeting businesses in the bank’s area, offers new business customers a free biscuit breakfast for up to 13 people — delivered right to your doorstep — as long as you’re willing to meet with a Countybank representative. Countybank kicked things off in late September with teaser billboards with a picture of a biscuit and a simple question: “How do you like yours?” The billboards bore no name, no phone number, no Countybank logo. The bank then updated the billboards with a URL, howdoyoulikeyours.com. Earlier this year, Chemical Bank in Michigan used a similar tactic with its teaser billboards. You can even specify what time of day you’d like your breakfast delivered. Countybank’s business services include cash management, employee benefits, insurance, payment processing, succession planning and wealth management. They are all bundled together under the name BizKit. 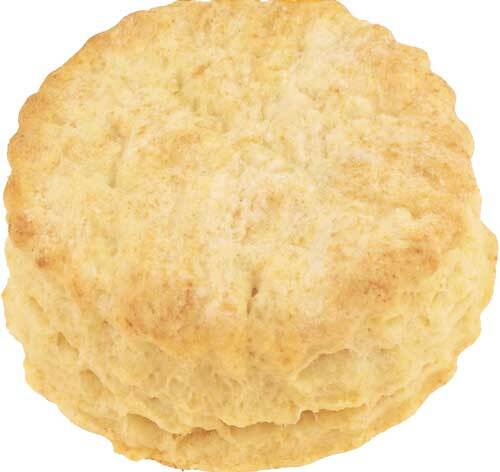 Bottom Line: The campaign — including direct mail, online, outdoor and print ads — cost $20,000 (biscuits not included). 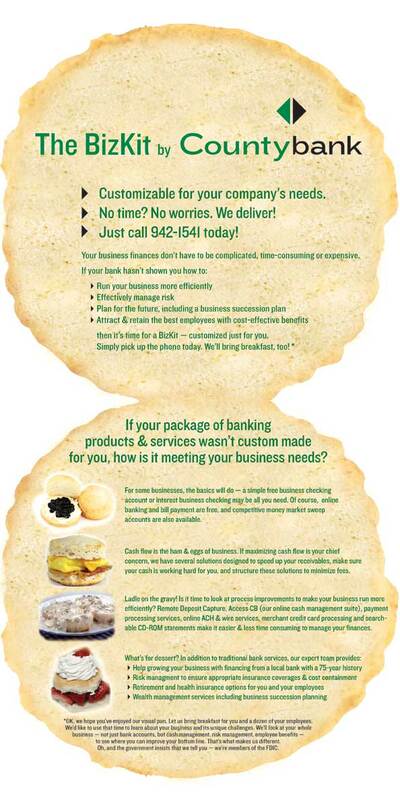 The inside of Countybank’s diecut biscuit mailer. It looks long on copy, but when you think about how creative this promo is, it’s safe to assume most recipients will spend some time with it. This article was originally published on December 2, 2008 . All content © 2019 by The Financial Brand and may not be reproduced by any means without permission.